Just when you think the case is closed...This news of what happened yesterday November 10th '18 has lit another fire on the issue of Barney Kessel's Gibson custom 12-string mandolin and what was played on the Wouldn't It Be Nice session along with the photo of Barney with the mandolin which appeared in the first PS Sessions booklet. The official Gibson model number is "A-50" ...for the record. There was some question on this for years. I'm trying to catch my breath, forgive any rambling or typos. Some of us have been obsessed with this for years and it's a closure in one way, while bringing up other issues at the same time...and leading to some additional questions. OK, for some background: We've been trying to figure all of this out for a long time, the question of what Barney played on the intro to Wouldn't It Be Nice. Search the archives on this board for more info, just search the term "Barney Kessel" or "Barney" and you'll get a full telling of the obsession and research that went into this. Long story short before the actual breaking news: After speaking with people directly involved in the Brian Wilson film "Love & Mercy", the story was that Barney's family was consulted and all signs pointed to a scene that happened in early '66 that resembled the photo in the PS booklet, in that Barney played this custom Gibson instrument that was tuned like a 12-string guitar, seated on a mandolin body and neck, which gave it the sound of playing a 12-string guitar above the 12th fret for that high register. It makes sense from a players' perspective. And the photo shows an instrument which would give exactly that sound. However, for the film the choice was made to use another instrument, a 12-string Danelectro electric hybrid called a Bellzouki, for aesthetic reasons in that it looked more futuristic, and at the time of filming a mandolin as shown in the photo was not available to use. Again, this was firsthand information. So all the research and consultation and the whole ball of wax as of 2014/15 said Barney played the hybrid mandolin on the session, but they went with another choice for the actor playing Barney in the film's WIBN session scene. Barney Kessel's hybrid 12-string Gibson "WIBN" mandolin was just sold yesterday November 10th by Heritage Auctions as part of both Barney Kessel's and Tommy Tedesco's guitar collections being offered for sale, by the respective families and estates. And part of the provenance offered with these sales was the photo from the PS booklet showing Barney with the mando, as well as the history of Barney playing it on Brian's WIBN session in 1966. For the first time, and trust me I've looked and called and emailed and searched for one...a full-size photo of that exact instrument has appeared. Along with...and here's the fun stuff...yet *another* 12-string Gibson custom mandolin as owned and played by Tommy Tedesco! Same year, almost the same specs, etc. I did not know Tommy owned one, no less a companion to the one Barney owned and played. It stuck out immediately: The photo of Barney from the PS booklet appears to show him holding the instrument sold as the instrument owned by *Tommy Tedesco*. It's easy to spot, just look at the headstock in the 60's photo and you'll see the "Custom" plate and maybe some slightly different binding (? )...as seen on the Tommy Tedesco auction listing. The instrument in the Kessel listing did not have the "Custom" plate, however Barney could have simply taken off the Custom plate and replaced it with a plain one. So there is that analysis on the surface. But who knows for sure. And the fact that both Tommy's and Barney's A-50 Gibson mandolins are 100% acoustic, NOT electric...Perhaps more relevant to the issue of the WIBN session, as it sounds electric (Sounds can deceive, though). And I see no signs of a pickup having been installed although that could have been possible with an old De'Armond or something...however it backs up the photo showing a boom mic stand and mic placed in front of Barney and the mandolin, which makes it an acoustic instrument. For the record, Barney's Gibson A-50 listed as the Wouldn't It Be Nice mandolin sold for $4,250 (US). Tommy's A-50 mandolin sold for $5,250 (US). Those prices were not listed publicly. In the photo of the "Barney" mando, there appears to be a screw inserted in the middle of the Gibson logo...wonder why? Had it become necessary at some point in order to keep the faceplate on that headstock? Like most of these happenings, there is more to the story. Since I posted I'm seeing info that totally flew under the radar, unless others remember seeing this same instrument offered for sale earlier this year on Reverb.com. So yes, Barney's 12-string custom "WIBN" mandolin was offered for sale earlier this year on reverb.com by a very reputable vintage guitar dealer in California. What was a bit misleading is how the Heritage auction listing said the instrument was consigned directly by Barney's widow, yet in the past year it was listed and according to the original Reverb listing, was sold by another broker. So did Mrs. Kessel consign it to the broker, who then listed it with Heritage Auctions? Not a big deal, but ignorant of that previous listing and sale through the broker, I thought the Heritage auction from yesterday was the *first* time this instrument had been offered for sale publicly. From that original online listing by the dealer on Reverb, it seems that the truss rod cover was indeed a Gibson replacement. Why it needed to be replaced, or what happened to it, is anyone's guess. It's a 55-year-old instrument that was in regular use by one of the premier session guitarists in Hollywood. Again from the site listing, one strip of the tuning machines had been replaced as well, post-65. So maybe the instrument was at some point damaged, or those plastic parts deteriorated with age as they sometimes do. So I take back what I was thinking about the "Barney" guitar versus the "Tommy" guitar and that famous session photo. What I missed in the excitement of yesterday's auction was looking closer at the photo of the back of Barney's mando, where Barney etched his name and SSN. Sure enough, it's there. The difference in the "Custom" truss rod cover/plate as seen in both the original PS sessions photo and Tommy's A-50 mando versus the photo of Barney's in the Heritage listing can be attributed to that original cover being replaced. Simple as that, and it was listed in the broker's sale details/description from earlier but not prominent in the Heritage listing. Also shown more prominently was a repair done to the metal tailpiece, which had broken and come apart from the tension of the 12 strings (happened to one of my guitars with a floating bridge too...I got a replacement tailpiece...not uncommon). I'm thinking this earlier sale escaped notice originally because that broker did not mention Kessel or the importance of this instrument (or rarity) in the listing's headline. If I were browsing, I'd see a Gibson A-50 mandolin from 1963 listed and think it was run-of-the-mill. In the description, which I'm guessing may not have triggered in search engines as readily with the Kessel connection, the description spells it out. Sorry for any confusion...I'm still trying to sort all this stuff out and revisit some issues I haven't thought as much about for 6-7 years or so. Hopefully as much accurate info as is on the table after the auction yesterday has been offered here for those interested. Now the question: This is an acoustic instrument. The intro to WIBN sounds electric. Was it just recorded "hot" at a high level coming in from the mic? Was there at some point a pickup attached to this instrument to amplify it? Or has it been our ears playing tricks on us all these years to where an acoustic mandolin was made to sound electric somehow through the recording and mixing? Time to pull out those session tapes again. Because I hear that part as it has been described, an electric instrument going direct into the board through a preamp with effects added. Or are we back to square one despite all the research and confirmations of the past years? 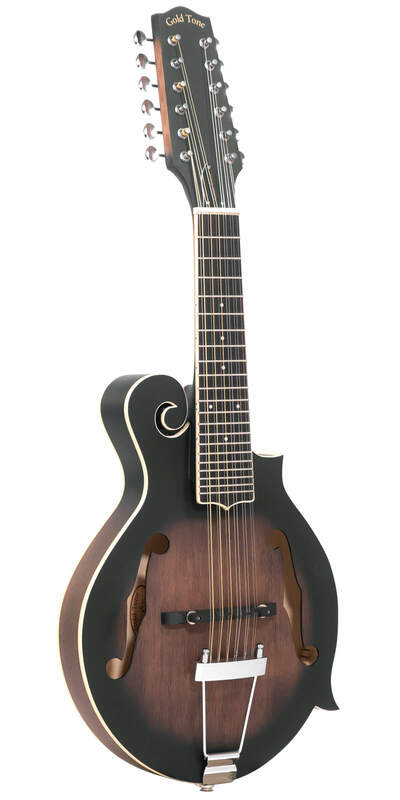 PS...The earlier sale if the site is reporting the actual sale price saw Barney's mandolin going for more than what it sold for at Heritage yesterday. If someone invested in this at the listed price earlier this year then consigned it to Heritage, they lost money. On this hybrid mandolin instrument or a mandolin in general, you wouldn't need the extended range to play the WIBN intro. As soon as I figured out how to play it on a mandolin tuned in standard mandolin tuning, and heard how it sounded, it started to make sense. It's all in the lower positions. Maggie posted this: "the WIBN intro is clearly a course-stringed instrument (you can hear the notes beating slightly with themselves) so Kessel's 12-string mandolin-body guitar (tuned EADGBE rather than in reverse as a normal mandolin would be, and pitched an octave higher than a normal guitar) is an obvious candidate." To which aeijtzsche replied: "Barney's would've had to have been, weirdly enough, pitched identically to a 12-string guitar. Why someone would do that, who knows. But when he noodles between takes you can hear him tuning, which gives it away." Meaning, the high string courses (high pitch-wise) are doubles, the low string courses (low pitch-wise) are octaves, and again, it's EADGBE instead of the opposite. FWIW, it's been years, but at one point I sat down and learned how to play the WIBN intro from a guitar tablature book of Beach Boys songs. I used a 6-string electric, but I recall that the positioning was fairly high on the neck (can't say which frets from memory, and don't have the book handy - been looking for it for days now!). I disagree with my friend H on this one. The whole point of having those mandolins shown above is to play mandolin parts and read mando parts using standard guitar tuning, while getting the authentic mandolin sound. The characteristic sound of the mandolin is how it's up an octave from guitar, and with the extremely short scale of that neck combined with the doubled sets of each string, those strings are tuned very tight. So it's that high pitched, high-tension sound but tuned like a guitar. Notice on the Reverb.com listing, the detail of the tailpiece repair is shown. This is common, and would be more common with the tension involved in tuning not just 8 strings (standard mando) but *12* with that much tension. So Barney's tailpiece did indeed split and separate and needed to be repaired. If you tuned either Barney's or Tommy's custom mandolins down to the range of a standard guitar, the strings would be so slack it would be impossible to fret a note on those lower strings. There would be no tension at all. Those are tuned up like a mandolin, very tight when tuned, and that's possibly why Barney's tailpiece broke due to that tension, especially if it was kept tuned tight for an extended period of time. I've gotten the intro down perfectly (if I may say so ) on electric 12 and standard. The whole key to getting it just right (as heard on the track, never mind the hundreds of live recordings) is to hold out the chord shapes of those arpeggios and let the notes sustain and ring into each other as long as possible. Start by laying your index finger on the 14th fret, G and B strings, as if you were doing an A major chord then changing a B minor triad shape and it's all there. I could post it if I get the time. But those mandolins - It wouldn't be possible to play if they were tuned in the same range as a guitar. Whatever is on the session tapes, I'll have to listen again. Like I said, despite all the research and confirms maybe it's back to the ol' drawing board. But yeah, you can hear both intro instruments playing below what the natural range of an octave-12 tuned guitar on the session tape. Also, neither of these two photos show the instruments having the lower 3 or 4 courses tuned in octaves--they're all unison-tuned, which is not like the WIBN intro. Also, in my opinion there's just no way the intro was recorded with a mic. For one, the player is without question in the booth, and it seems obvious by listening to how things go when the talkback is activated that the instrument is direct into the board. So--yes--what does this mean? Could it be that this thing wasn't used on WIBN after all? I do think it was used on I Know There's an Answer, where it makes more sense. I think a similar instrument was used on Sloop John B, too! I've had to divide this discovery into a few different issues, because my head is still spinning to be honest! First, there is the fact that this instrument as seen in that familiar studio photo has finally surfaced, not only that but also it was auctioned off along with basically the same instrument as owned and played by Tommy Tedesco. For a long time, it wasn't possible to even find another example of this type of instrument from Gibson, or even have an official company model name for what it was. Now we do, and not just that but we have Barney's exact instrument as proven by his name carved into the back of the headstock. So that's a great development - That exact instrument has been found. PS - I'm still amazed this instrument surfaced earlier in a guitar broker's online sale listing and totally flew under our collective radars for months until this recent auction. Now to the real conundrum mixed with a mystery mixed with a possible contradiction...and the ramifications may or may not already be hitting depending on the info chain. The issue is now that one of the most prominent auction houses in the world just sold this instrument as *the instrument* played on Wouldn't It Be Nice, and prior to that a very respected, long-time vintage guitar dealer listed it the same way. The provenance of the sales included not just the authentication from Barney's widow and the Kessel estate, but also the attached history to the WIBN session. As people may or may not know, these things are not done without extensive research and authentication, and a provenance is not attached to a sale (which ostensibly raises the value of a historical item with those connections) without much effort being put into saying "This is the one..." and being able to back it up. Otherwise the entire world of auctions surrounding celebrity or historical items would be a shambles in terms of verification and authentication. So on the table we have Barney's family and estate, the original guitar dealer, a prominent auction house, and excerpts from Brian Wilson's various book quotes and whatnot combined with those involved in the set design and props for his film biography saying this is what Barney played. Yet it feels like we're back to square one regarding what is heard on the tapes. I'm up for reopening the issues on those tapes and digging in. As in, time permitting, getting exact track times and sources as the evidence of the sounds we're referring to. Because the final, released mixes have two stringed instrument parts, very closely arranged and played and washed in reverb, to where some fine details get buried in the overall soundscape. There is a contradiction staring us in the collective face and it seems to have reopened the discussion rather than closing it. Just for a comparison to hear what it sounds like on a traditionally tuned mandolin, I did this quick take on a cel phone video with my mandolin (again, tuned traditionally G-D-A-E) in "open position". With the traditional mando tuning, you can't get the same sustain on specific strings of those chord shapes but you can still hear the timbre of the instrument playing the patterns - I tried my best to get the one note with sounds fluffed-muted on the original released take. I would have tuned it like Tommy and Barney, in "guitar tuning", but to do so I would need to replace the D strings with a much lighter gauge in order to tune it up to the note G like a guitar tuning, and that's not something I wanted to do for a 9 second video. And I didn't want my tailpiece to split like Barney's. Not a tutorial, but just an example to hear it played on a short-scale mandolin in open position with the tight non-octave strings compared to playing it on a 12-string guitar at the 14th fret and above. I'm actually amazed that the instruments sold for as cheap as they did. Maybe I'm being to unrealistic, but considering the history I would have expected six figures. Were I a family member or holder of the estate I'd be almost insulted. The one currently available is an F-style, but Goldtone made A-style ones too that are still to be had. If I weren't destitute, I would surely buy one. I fully intend to do an annotated session transcript with timings to attempt to prove that whatever instrument is playing the intro is tuned such that an octave guitar tuning in unison courses would not be a possibility. Might be a few more days though! Sure, but what if Barney's instrument was actually strung with guitar strings, at least on the octave courses, and at least for the WIBN session? In that case, I imagine it would be possible to tune it like a 12-string guitar, right? Regardless of how the thing is strung now (quite likely it was restrung with mandolin strings at some point before being sold). Well, that is sort of what I had been assuming this whole time. Can I ask a serious question? Did either of you read what I wrote or watch the video where I played this intro on an actual mandolin to compare the sounds which would be possible with acoustic mandolin? I'm out of this deal after this statement...unless you've tried to string a short scale mandolin with a 12 string guitar set, then tune it in the same range as a standard 12 string guitar, take my word on this...It cannot be done. Or just ignore all of it and all that has been said already and try it yourself. You'll see after trying to string a low e guitar string and actually fret a note on a short scale instrument how it's a fools errand...but dont take my word for it. Please. I did once tune one of my mandolins down/up to the DGBE of a standard guitar when I was about to put new strings on. I admit it wasn't a beautiful sound, but I assumed that with a slightly longer scale instrument it could sort of "work" with the right gauges, for the purposes of one song. That being said, I concede it's an inopportune way to do it. I assumed this was the case because it is the least convoluted explanation for both the unusual sound and the fact that the instrument plays below the range of what a guitar would be at the octave. But maybe the actual simplest answer is that it wasn't this particular instrument on the WIBN intro. So, arguendo, as it were, here's a vid of me playing the intro on my standard issue mandolin, tuned DGBE at guitar pitch. Again, I'm not saying this is definitive proof or anything close--only that it is not completely outside the realm of possibility. With a slightly longer scale, and doing some math on string gauges for the upper octaves, I imagine you could come up with something that would have "worked" on Barney's deal. Note how hard it is to squeeze the fingers in up there. 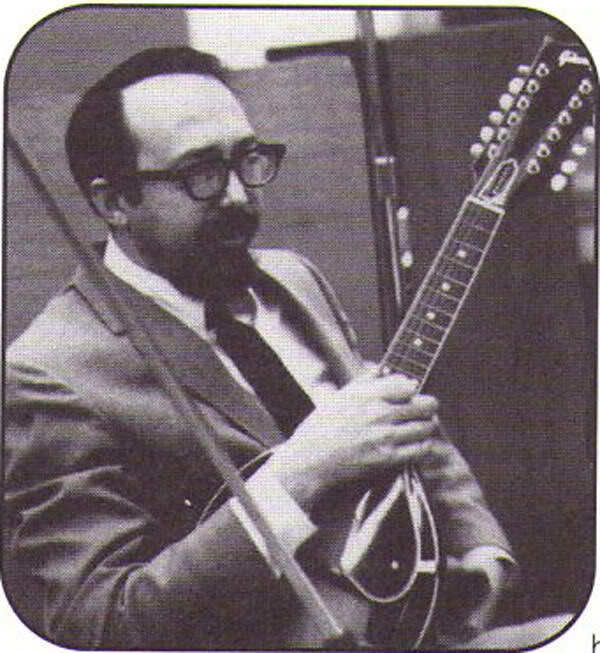 And also that I am not Barney Kessel. Friends. There's something else that nobody is talking about. It's wider angle--but they freakin' blurred out the rest! Anybody feel like trying to contact them for the unblurred image? What a pity if this fascinating topic were to grind to a halt now, H. Hopefully both Craigs will chime in again soon. For even more perspective, I went ahead and changed out one of the ersatz g-strings with a much lighter gauge string and put it at the octave, to be like how the WIBN instrument (whatever it may be) is tuned. I recorded it, and played the other guitar part with the same mandolin, (although I'm 99% sure the lower instrument is just a 12-string guitar on the original. ) I added reverb and such, as you do, to make it a little more contextual. While we have this discussion open, can we talk about another Mandolin filled song? Do You Wanna Dance? Now Craig confirmed it is a Mandolin on the Basic Track and it was Overdubbed later to Double it. Was Billy Strange playing a regular Mandolin or one of these Hybrids? It almost sounds like a Guitar more than Mandolin. Was it close miked or through Direct Injection? Just curious, as this Topic maybe me think about it today. Oh and yes you can hear Barney's Mandolin clear as day on the Session tape. He is louder than Jerry's 12-String Guitar. You tell that's a 12-String Guitar underneath Barney's Mandolin. Maybe Brian or Larry Levine added some compression to Barney's Mandolin, to dampen the sound, so it isn't as fiddly.